Home / Articles / Can You Die from a Tooth Infection? Most of us have had some level of problem that has involved a visit to the dentist. It could be more serious issues such as root canal treatment, an abscessed tooth or other dental abscess, a dead tooth, a painful wisdom tooth coming into minor issues like a bacterial infection that causes pain or just a little bad breath. Although it might seem like a silly or alarmist question there are plenty of people who want to know if it is possible to die from a tooth infection. They may be overly worried about stories that they have seen in the news like this one about a man who had a tooth infection that then spread to his lungs and ended up being fatal. This sort of situation tends to get highlighted when it happens because it is so rare and so unexpected. So, as to whether or not you can die from a tooth infection, the short answer is yes. However, it is important to emphasize upfront that while it is technically possible, it is not very likely. It takes a combination of poor dental hygiene and not going to see your dentist when warning signs begin to appear in order for an infection to get to that point. As long as you are going to your dentist on a regular six-month basis as recommended by the ADA, there should be no reason for any situation in your mouth to turn into a fatal infection. That being said, here is how it is possible for a tooth infection to turn deadly. An infection in your tooth, also known as an abscess, can happen in several ways. The human mouth is full of bacteria and no amount of brushing, flossing, or using mouthwash can eliminate this fact. We brush our teeth, floss, and rinse with mouthwash in order to keep bacteria at bay but it is not possible to prevent bacteria entirely. 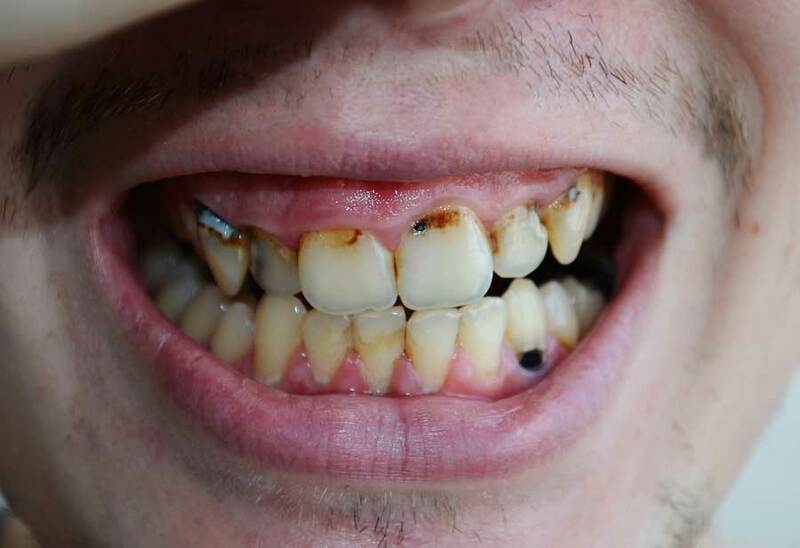 When this bacteria has an opportunity to overgrow and get into your teeth and gums via cavity, cracks, or some sort of gum disease or injury, this is when infections can happen. If you have a cavity or a cracked tooth and go too long without getting it treated, this allows for bacteria to invade and decay to begin. If this decay goes on for too long, then an abscess can occur either within the cavity or even down to the root of the tooth inside the jaw. An abscess is an area filled with pus and bacteria that do not usually heal on its own. The only way to treat an abscess is by having a dentist clean out the area and taking antibiotic medication to kill off as much of the bacteria in the area and in the abscess as possible. If one has some form of gum disease such as periodontal disease, the gums can pull away from the root of the teeth which allows for a space in which bacteria and debris can gather and multiply. If this goes unchecked an infection can occur. In a similar way, the gums and teeth can be harmed during a high impact injury to the mouth. If this injury does not get treated by a dentist soon then it can also open up spaces in the mouth that can harbor bacteria and lead to an abscess. This is why it is always important to consult your dentist and let them fix any sort of damage to your tooth or mouth. It also should go without saying that brushing, flossing, and using mouthwash twice per day will go a long way toward keeping bacteria from being able to overgrow and cause problems. Once an infection in a tooth has started it should be treated as soon as possible. If you feel any tenderness or swelling in your gums then you should have your dentist take a look and determine whether or not an infection is present. In some cases, it may just be a less serious problem such as grinding your teeth at night. It may also be fixable damage like a cavity or crack that has not yet become infected but is still painful. 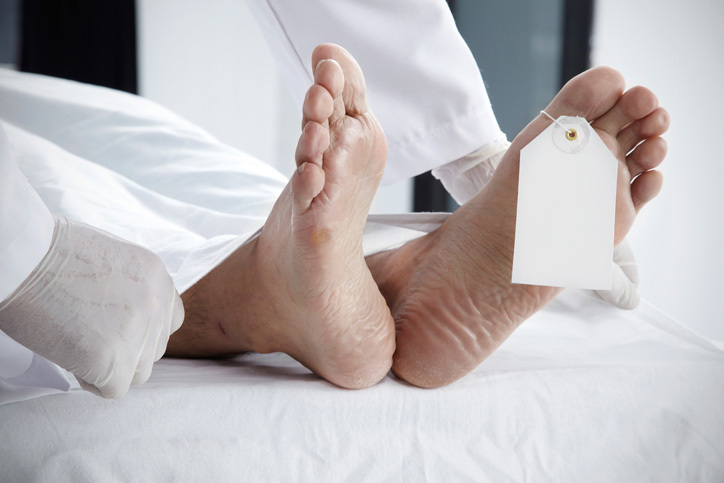 It is possible for just about any infection in the body to turn lethal if it goes untreated. This is always a concern for serious wounds and surgeries, but it is also true from more minor injuries such as nail infections. Any infection has the potential to spread under the right conditions. Usually, it spreads by entering the bloodstream and causing a blood infection. While blood infection alone is extremely dangerous this also carries infection to the rest of the body and can cause major complications elsewhere such as sepsis and organ failure, eventually leading to death. In the case of a tooth infection, the potential for it to spread can be even more dangerous since the tooth is very close to the spine and brain. If infection begins to spread from the tooth, it can quickly get to the central nervous system and the brain and result in serious complications such as brain abscesses and meningitis, both of which are deadly. The mouth is also a pathway to the lungs. As mentioned earlier in this article, though the infection originated at the victim’s tooth, he aspirated (breathed in) infectious material which then caused damage to his lungs. Unlike the mouth which is used to handling some levels of bacteria without a problem, the lungs are a sterile environment and, therefore, any foreign material that enters them has the potential to cause a serious infection and lead to complications like pneumonia. While all of this can sound pretty frightening, it is important to remember that simple common sense and good hygiene can easily prevent anyone from getting into the kind of situation where their tooth infection becomes serious. Brush, floss, and use mouthwash twice a day as your dentist recommends. Visit your dentist every six months for regular checkups and screenings to ensure that any damage like cavities or cracks is caught early on and treated. Finally, if you notice any pain or swelling that is unusual, do not hesitate to visit your dentist and have them take a look to figure out what is going on. It is better to be proactive instead of reactive when it comes to infection. Practice all of these common sense things and you should never have to worry about dying from a tooth infection.